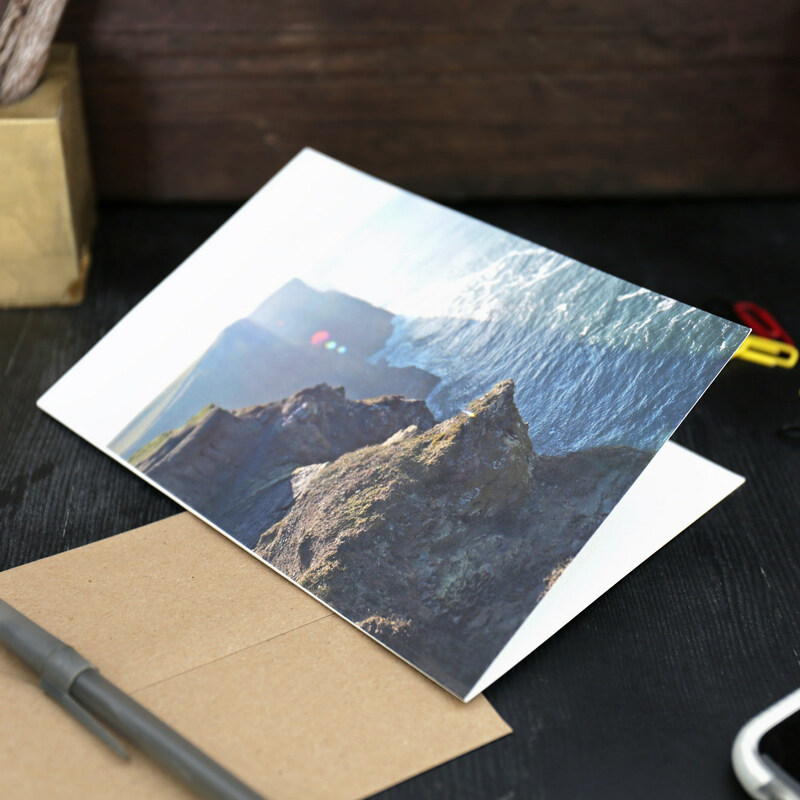 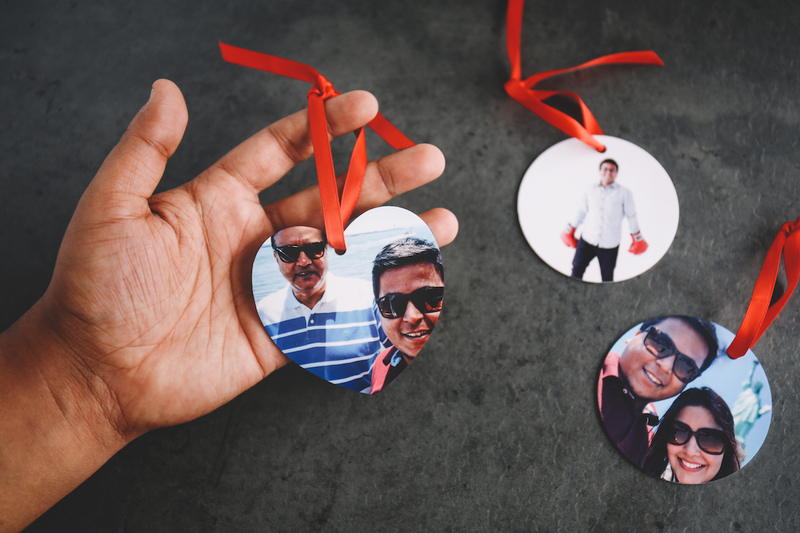 Print your photos onto high-quality metal ornaments! 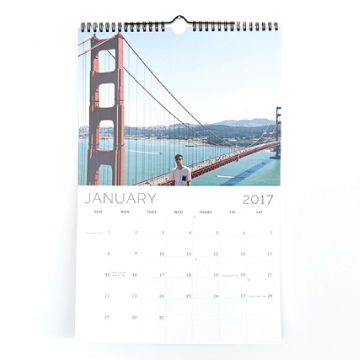 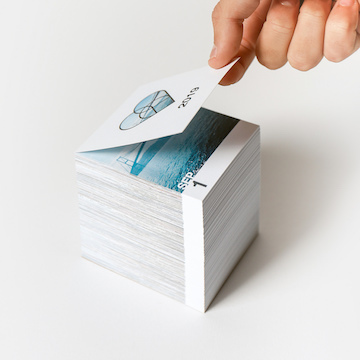 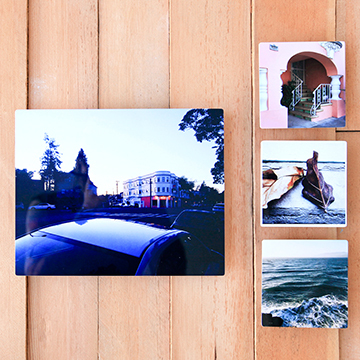 Choose from 4 sweet sizes with your photo printed on both sides. 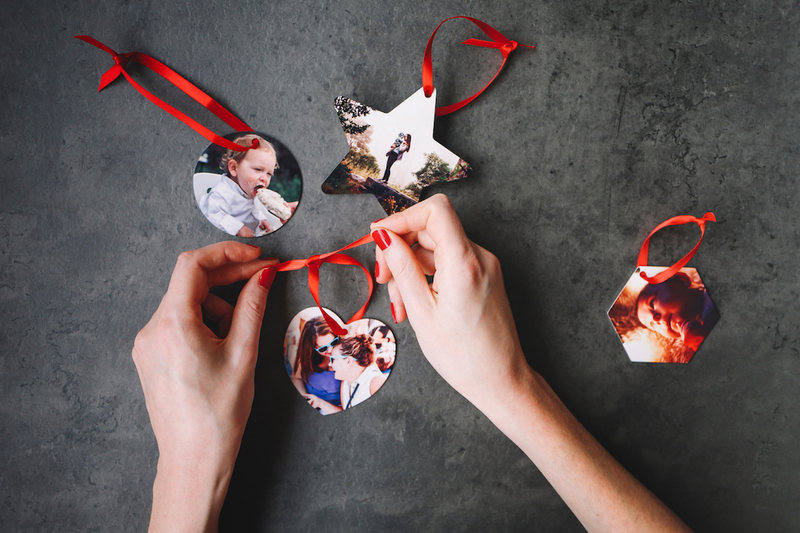 Each ornament comes with a red satin ribbon for hanging. 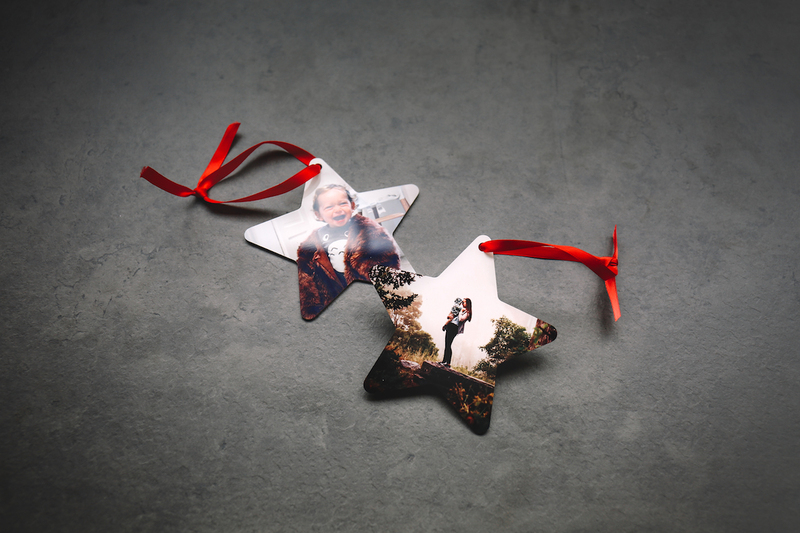 Choose from any of our four ornament shapes, all printed on quality aluminium. 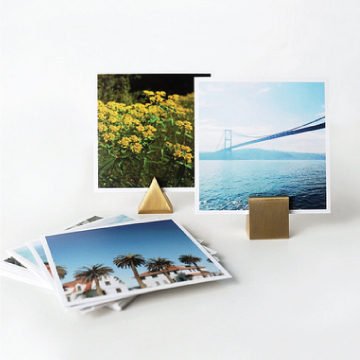 The high gloss finish that makes all the colors in your photo pop. 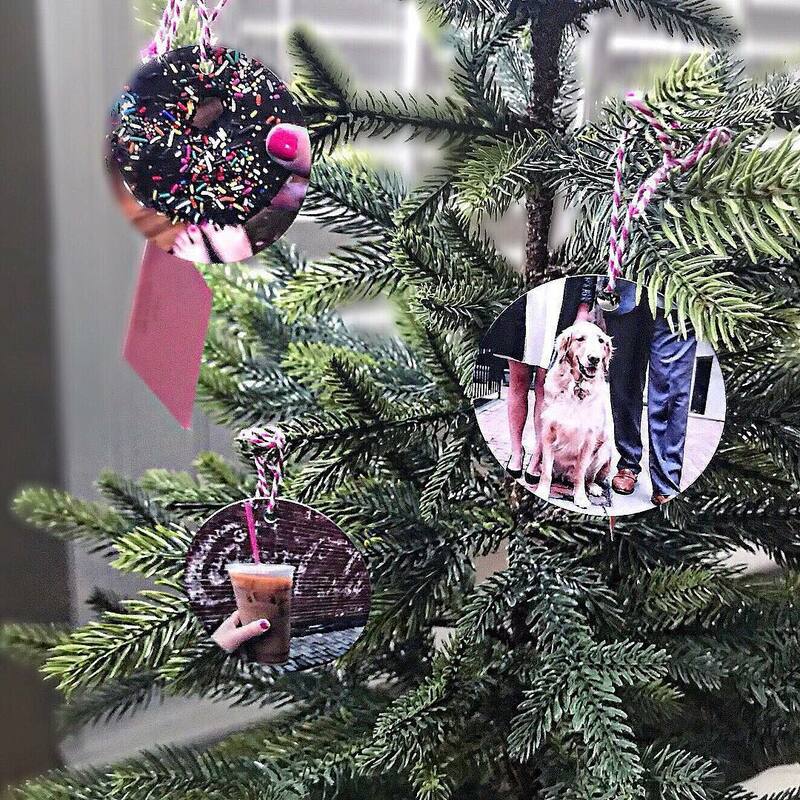 Each ornament is a sturdy momento that will last for many years to come. 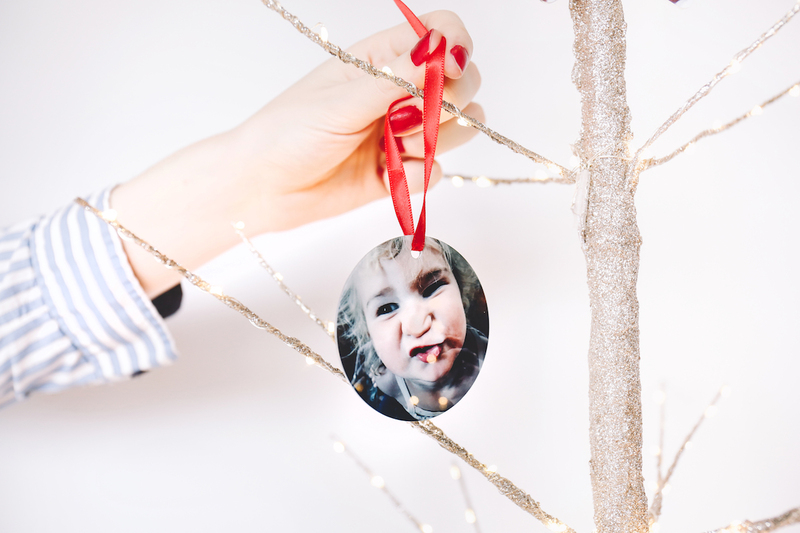 Our double-sided ornaments are 100% safe to twirl. 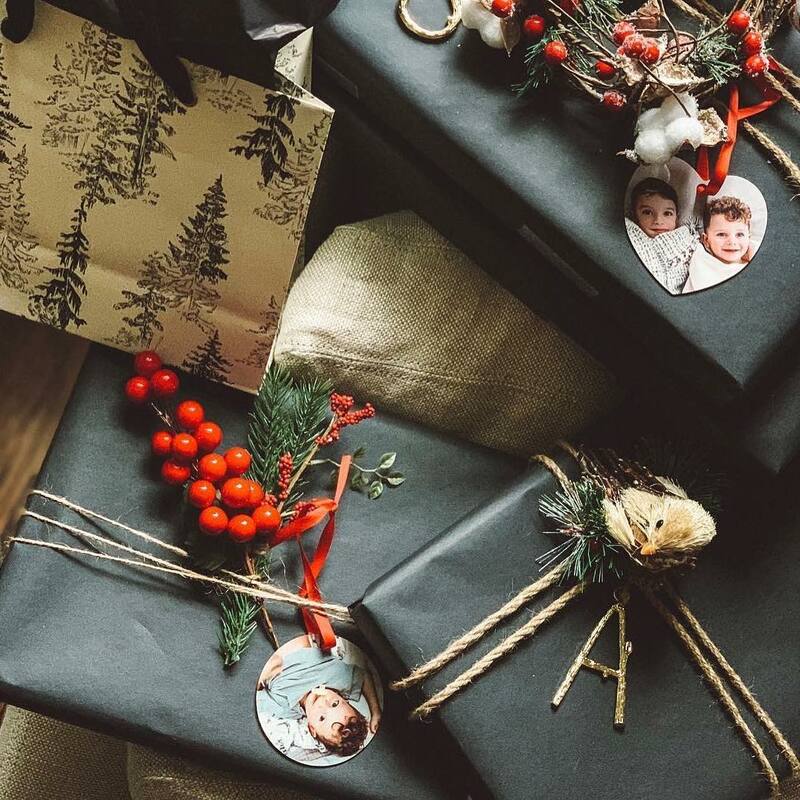 @rachelserruyawilks incorporated Ornaments into gift wrapping. 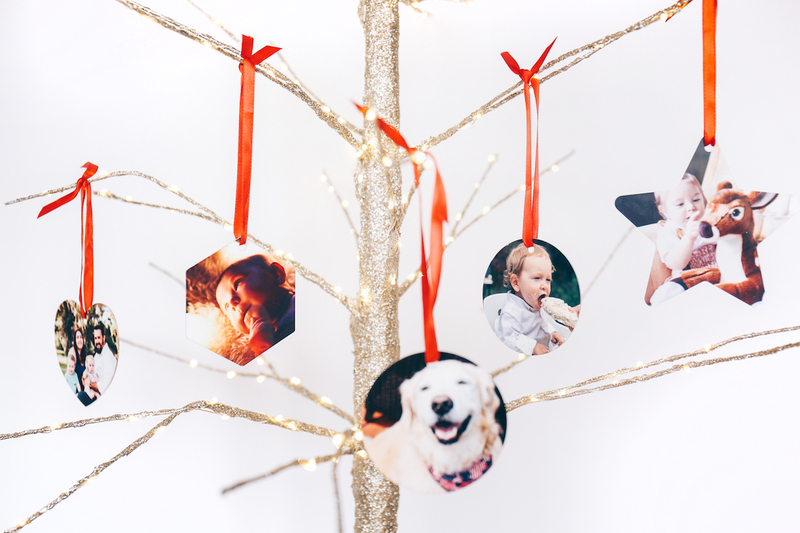 Our bestselling Round Ornaments on @itsalexandraenglish's tree. 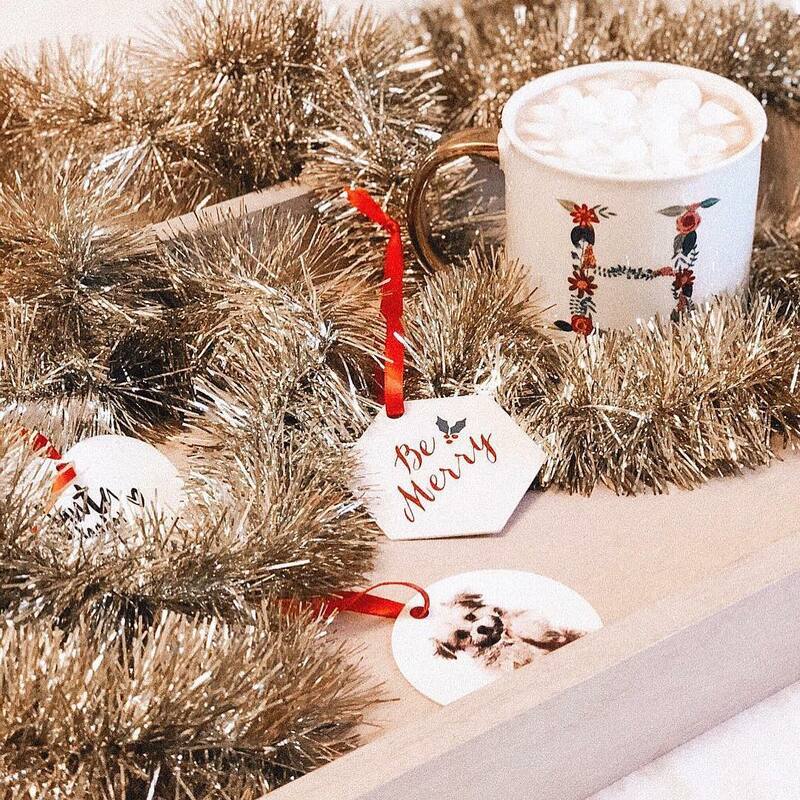 @someweartobe made Ornaments with festive messages.